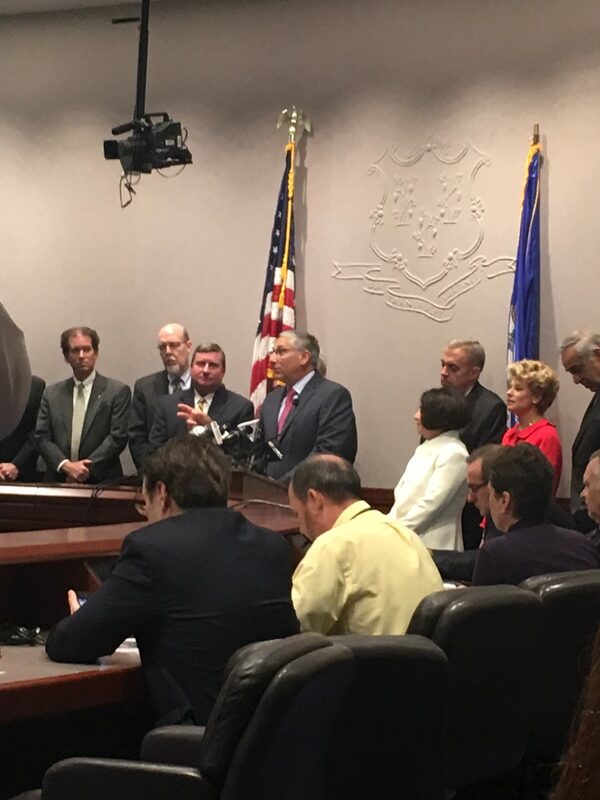 “At this time, there is zero evidence that tolls would result in a profitable revenue stream for Connecticut,” Fasano said. State Democrats have made the tolls part of their budget proposal. Their budget package would authorize the Department of Transportation to install electronic tolls on Connecticut’s highways. Although that doesn’t necessarily mean that construction would begin right away, House Speaker Joe Aresimowicz, D-Berlin, predicted the electronic tolls could be up and operational in 18 months. Fasano believes that authorization for tolls should come only after information is released on how much the tolls would cost, where they would be placed, how they would be utilized and how much they would charge. Bringing highway tolls back to Connecticut has been floated as a way to deal with growing deficits in the Special Transportation Fund. The fund is projected to face deficits soon, and is troubled with costly projects, growing debt service payments and slower than expected growth from the gas tax. The Office of Policy and Management predicts the special transportation fund will face a $17.1 million deficit by June of 2017 and projects that deficits will continue for the foreseeable future. Although revenue and funding of the special transportation fund is expected to grow in the coming years it will not be enough to keep up with the costs of the massive transportation projects Connecticut already has underway, including Gov. Dannel Malloy’s bus and railway projects and his 30 year, $100 billion “Let’s Go CT” infrastructure improvement project. The Special Transportation Fund’s debt service costs alone are expected to grow $300 million by 2020. Part of the issue, according to Fasano, lies in the way Connecticut’s roads intersect. He pointed out that tolls on I-95 would mean more crowding on Route 15, and so on throughout the state. He cautioned that much of the public thinks the tolls would only be at the borders but the electronic tolling being discussed at the Capitol is actually congestion tolling, which would affect Connecticut drivers commuting to and from work, rather than people entering and exiting the state. Due to federal regulations, Connecticut cannot simply install tolls on existing roadways like I-95 unless they are congestion tolls. Connecticut can only install flat rate tolls on newly constructed roadways. Federal transportation funding is part of the issue surrounding the tolls. Connecticut could risk losing some of those federal funds depending on what kind of tolls are put on its highways and where they are located. Fasano and the Republican senators were also joined by Joseph Sculley, president of the Motor Transportation Association of Connecticut and Carol Platt Liebau, president of Yankee Institute for Public Policy. Sculley said that contrary to popular belief, interstate travelers and truckers do not get a free ride through Connecticut. MTAC estimates that Connecticut took in $30 million from fuel taxes and apportioned registration fees. The state also receives a larger amount of federal funding because it does not have tolls. In her statement at the press conference, Liebau said that Connecticut residents must be assured that their money is being well spent before agreeing to pay more for infrastructure projects.